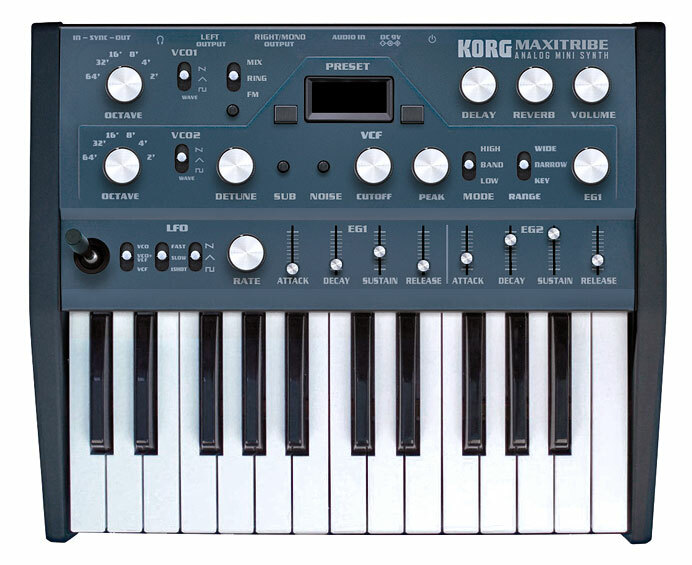 The Synthesizer Sympathizer: Korg's 9/4 announcement more or less a publicity stunt; why must the biggest companies continue to make lame products? Korg's 9/4 announcement more or less a publicity stunt; why must the biggest companies continue to make lame products? 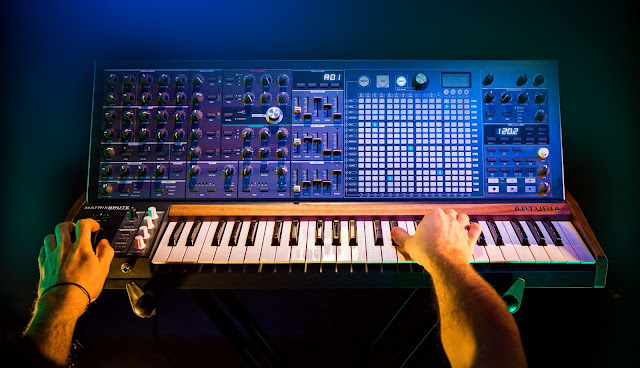 Korg's big 9/4 announcement, which they hyped up, revealed a new workstation, Krome, some special editions of the MicroKorg, and some other small items. 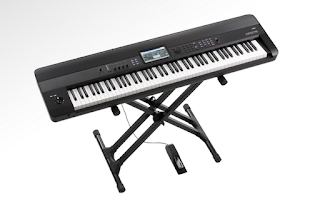 If you recall, in 2011, Korg unveiled the Kronos, another workstation. At this point, the MicroKorg engine is 10 years old and hasn't really been changed. So what gives? Why did Korg blow this release up like it was something unique and special? Yeah, I know they're trying to make money, but it strikes me as so dishonest. I have never seen an artist I like use one of these, unless it made before 1995. I hear a lot of naysayers bash all of us hoping for something better; there's definitely people out there who say mock those who want a new classic analog, or anything besides humdrum. They try to say "if everyone had a Jupiter 8, they wouldn't sound good". I think that's all false-- no one in the history of guitars has ever said "you know, Fender should stop making good guitars so the good ones can remain awesome for those who can afford them". Synths are the same way-- if the modern standard was something really good, would we all complain? It's a hipster-ism taken to a new level; block out anything new so the old can remain cool. 10 years is a long time to dream up all black keys and some mellotron patches. R&D money well spent. 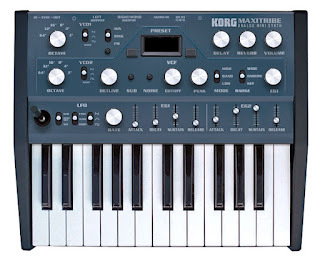 I don't want to hate Korg-- their lineage of products is so fantastic. The MonoPoly and PolySix are absolute classics. The Monotribe is fantastic and new, as is the rest of the Monotron series, but I find that there's a total disregard to push things further. They don't have to make a repeat of a classic analog, or anything like that. All I'm asking for is something new. 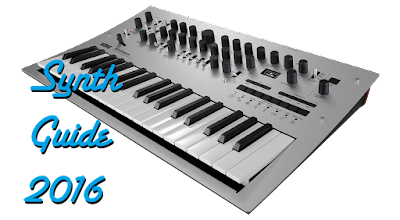 No rehashes of the same synth engine of the past 10 years, no workstations, and more importantly, don't act like you're reinventing the wheel when you announce it. The old men who buy workstations and aren't hip to digital audio workstations certainly aren't watching your twitter day and night for updates. Look at the current product lines of the other companies in the electronic music business-- Moog offers a fantastic range of affordable to luxury synths and effect pedals, as well as super affordable iPad and iPhone apps; Dave Smith Instruments offers the Mopho, the biggest bargain mono synth, the one of a kind Evolver, and the most unique crown jewel of all, the Tempest; Arturia pulled out the MiniBrute from thin air (although its stocks have been lacking horribly, an opportunity that Korg could have easily picked up on), which remains the most searched for synth on this site; and Teenage Engineering offers the OP-1, a fantastic sampler/synth/sound tool which they've even recently expanded on, adding a new filter. We used to be able to look at Korg, Roland, and Yamaha for these cool types of advances. They were the companies with the biggest pockets so they could take the risks, and they usually paid off. There's no reason they can't band together 5 young guys at the company to dream up something that would make making music fun, instead of the same old dull crap we see now. In fact, there's almost NO work to be done to make a Monotribe/tron monosynth at this point. 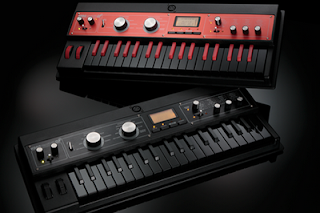 Amazing Machines' MIDITRIBE allows us to connect our midi keyboards to the Monotribe. How has Korg not simply removed the ribbon keyboard, attached the nano series keyboard, and bumped the price up 100 bucks? Add the second oscillator for another 50 (I'm taking that as the price from another Monotron)-- you've got a dual oscillator monosynth for about $350. And this doesn't stop at Korg either-- Roland is equally guilty. Their new Integra is a rehash of sounds they've had for years. Roland claims they don't want to look backward, only forward-- but they seem to be stuck in the recent past, and nothing moves forward. Nothing they put out excites me-- they are just endless cheesy emulation boxes, year after year. that retro way where people may still use for 80s and 90s style tracks. Ultimately, the issue here is stagnation. Our once awesome companies that competed fiercely for the money in our pockets in the 70s, 80s, and 90s have dropped off in creativity and raising the bar. They could be industry leaders but instead rely on old success and the current status-quo. There is room for workstations, don't get me wrong, but they aren't anything new. Why not take that one team and put them on making the next PolySix or MonoPoly? Not that they have to be clones of these instruments, but they were groundbreaking when they were released. The collective response to most of Korg and Roland's announcements these days. Ultimately, though, all we can do is withhold our money and keep writing very obviously on the forums of what we really want. My money will go to the coolest new tools, not the dated ones.